Nicole Lui is one of Ribit’s very first “Finterns”, having attended the inaugural “Fintern Fever” at Stone and Chalk in December 2015. She had recently completed an internship in investment banking and was in the final year of a Bachelor of Commerce at UNSW. 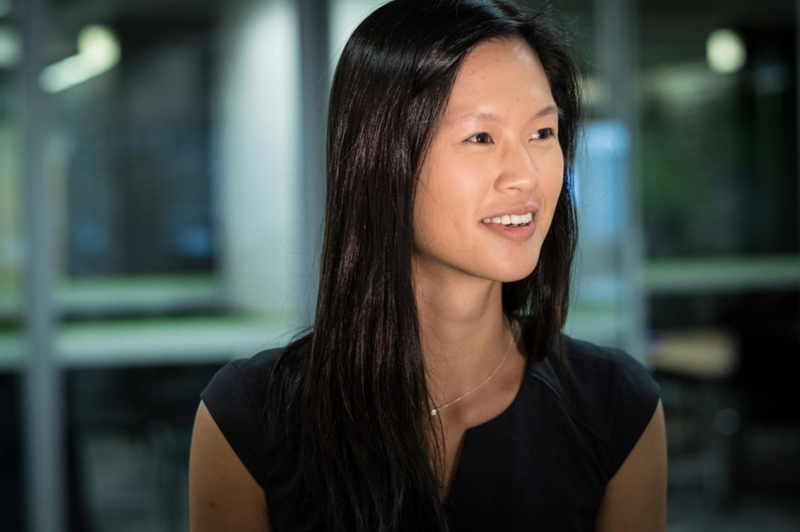 Nicole was taken on at Australian corporate venture firm, reinventure, after attending Fintern Fever and went onto work for them permanently, staying with the firm for more than a year. Reinventure has more than $100M in committed funds, of which Westpac is the largest investor, to help innovative and disruptive businesses within the technology space to grow. During her time there, Nicole worked as both an analyst, ensuring due diligence was carried out on prospective portfolio companies, and as an ongoing client support manager, helping their portfolio companies to succeed. She thinks that taking the opportunity to work while studying is really important. What else did she learn specially from the internship at reinventure? “I think also, subconsciously perhaps, it definitely changed where I was heading in my career. I was planning to go into banking but I found venture capital really interesting. In fact, by working with startups, I also found this was where my passion was. Nicole has since left reinventure and is currently carving a career out for herself as a management consultant. Where does she see her career heading long term? And what advice would she give to current students considering taking on an internship?